The arts of the Asian continent represent the long histories and traditions of its many peoples. The largest continent on earth is rich in textiles, jewelry, and fine arts. 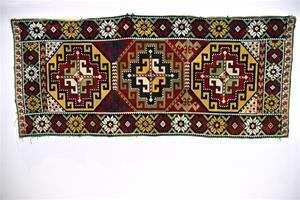 Our selection of Asian Art includes Afghani crafts, Russian Lacquerwork, and Asian quilts from around the continent. 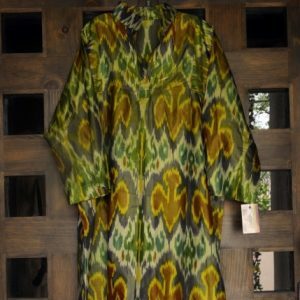 Our Uzbeki caftan selection includes a number of colorful designs that you can be sure will add color, zest, and vitality to your art collection or wardrobe. We’ve got everything from embroidered hats to pillow covers, and even Western Mongolian purses that will provide unique style opportunities for your home. Handmade Asian quilts reflect the varied cultures of East and Far Eastern countries. Enjoy the elegance of minority panels and baby carriers from China, as well as coats, aprons, and embroidered tunics. Whether you’re looking for a handmade quilt, an Ikhat Caftan, or a ceremonial vest, we’ve got the Asian artwork for your personal collection. Get your wonderfully varied Asian art pieces from Spectrum Art Gallery LLC today and leave the West behind.